We were impressed with the prompt response from DGL following an online enquiry via Trusted Local Suppliers. 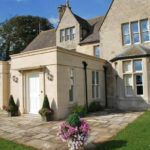 The enquiry process was seamless and at no time was there any pressure upon us, just good old-fashioned excellent customer service. Prior to meeting Martin Hall, we exchanged several friendly emails and phone calls. When we eventually met we felt we had known Martin for some time. Despite knowing what we wanted, Martin guided us through all the options to us with absolutely no pressure. 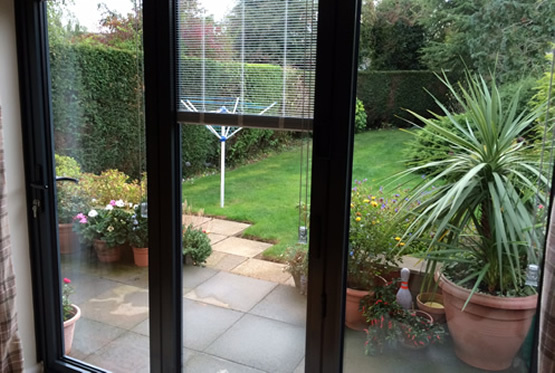 We ordered a new Aluminium Bi-Fold door with in-glass blinds. 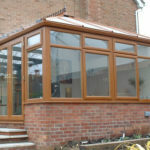 Whilst we already had Double Glazing, some of the glazing units had failed and Martin talked us through the option of replacing some of our glazing as opposed to replacing the frames also and we also proceeded with the replacement of a number of old failed sealed units. At installation, Martin’s install team of Gavin and Colin arrived on time and promptly got on with the job. They were duly kept lubricated with “Tetley Tea”! 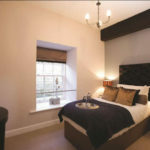 They were very professional, tidy workers that ensured we were not inconvenienced in any way. 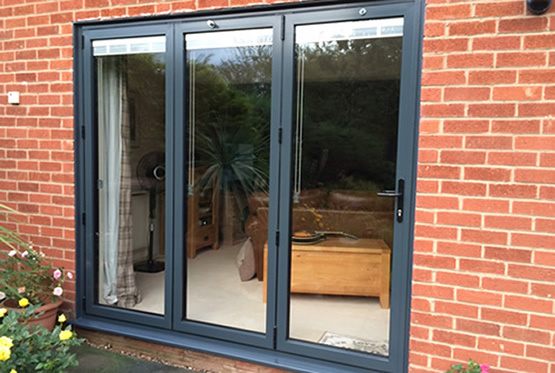 The new Bi-Fold Door is amazing and the fitting so precise we did not have decorating issues following the install. We will both be eternally grateful to Martin and his team for making the purchasing and installation of our new Bi-Fold door such a pleasant experience. 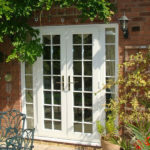 His friendly, expert advice is a breath of fresh air in what has become a high pressure selling environment of “Double Glazing” purchasing. The fundamental part of the project was the choice of product, both in terms of the chosen material and also the operational method of the door. 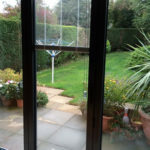 At quotation stage, many options were considered, ranging from a 2 pane in line sliding PVCu door through to the eventual final choice, that being the aluminium 3 pane bifold door, which also included the integral blinds. 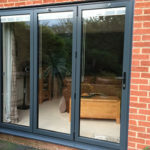 The Bifold type door was very much the preferred option as it allowed for all 3 doors to be opened and slid to one side, to create a full opening and hence create the extra feeling of space and connection between the outside and the inside of the home. Aluminium was chosen as the preferred material as it offered the slimmest sightlines and more importantly, aluminium bifold doors are very much the Rolls Royce of the bifold door market, as they offer effortless, smooth and reliable performance when opening and closing. 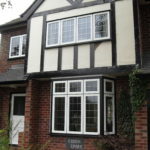 The contemporary look was also maximised by the choice of the Anthracite Grey RAL 7016 and this worked well as a colour scheme alongside the rest of the house having white PVCu double glazed windows. 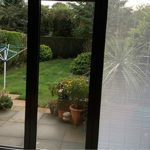 In keeping with this theme, the home-owner also chose the extra investment of the integral blinds between the 2 panes of glass of the sealed unit. 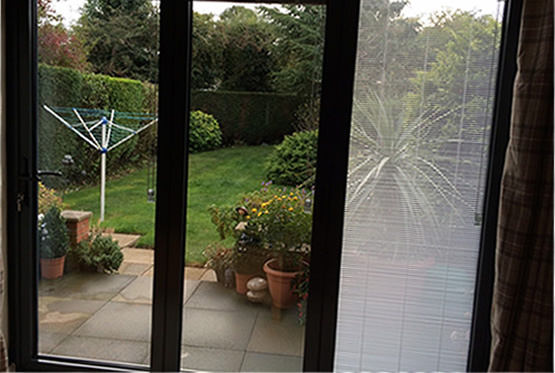 These were a perfect complement to the door, as they allowed for the blinds to not be in the way of the doors once they are open and also there are no cleaning issues and requirements, as they are sealed into the glass unit and magnetically controlled. 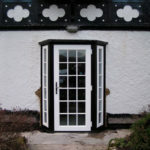 With regards the installation itself, at survey, the fundamental requirement was to establish as to whether the door had adequate structural support above the brick work, as this is absolutely critical when installing bifold doors.